He'll love how different, unique and special this personalized back to school gift is, especially when he carries it to sports practice, class, after school activities and clubs, or camp. Our Personalized Water Bottle is made of sturdy white aluminum and holds up to 20 oz of liquids that keep you hydrated on the go. Measures 8 ½” x 3”. Each Custom Sports Bottle comes with a twist off cap and extra stopper with an “O” Ring for hanging on a duffel bag or backpack. Free personalization of any name is included. Make sure he's excited to head back to school by giving him a personalized gift! 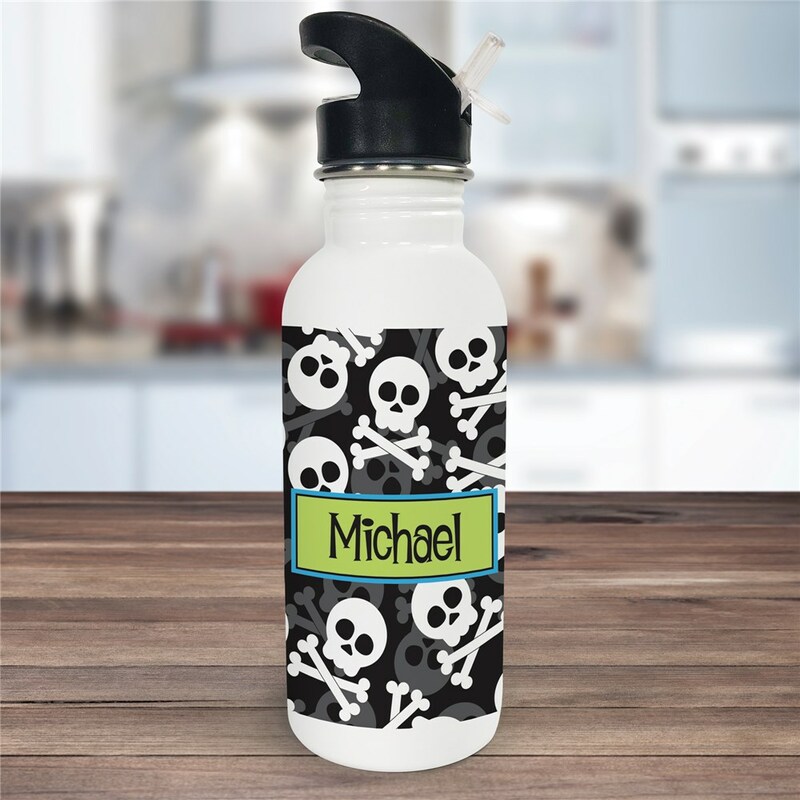 Once he gets this personalized water bottle, he won't be able to stop himself from using it. If he likes this design, he might also like our Personalized Skull and Cross Bones Backpack.